The Gist: Mike’s dad, Joe Pesca, tells his infamous pencil story. The pencil story is family legend. Now you’re in on it, too. 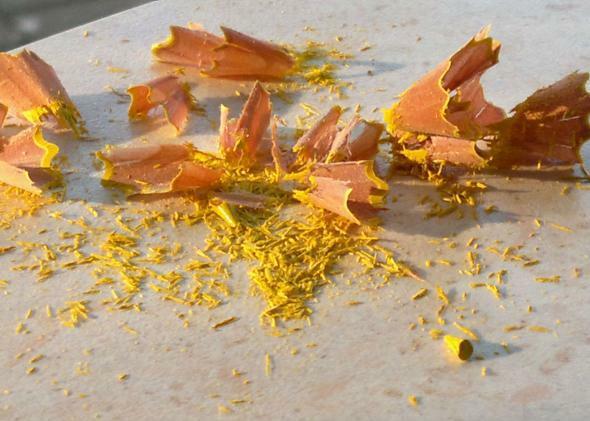 What kind of craft was Joe Pesca planning with all those pencil shavings? On The Gist, a shaved-down tale from an elder Pesca. Mike and The Gist staff are busy preparing for our first live show, so on Tuesday we present a favorite from the Pesca family dinner table. Joe Pesca tells it best. We’ll be back on Wednesday with a full Gist episode.